After so many people emigrated from the small town of Riace Italy, mayor Domenico Lucano saw an opportunity for the near ghost town and decided to welcome migrants in search of a better life. Join us as we travel to Italy to meet the residents of Riace. Riace has been preserving the region’s traditions and folklore by producing embroidery and carpets. Kalkidan, a refugee from Ethiopia, works with a local traditional weaver, Angela. Who says one person can't make a difference? Domenico Lucano is the mayor of a tiny Italian town, with no big money or big names behind him, just a big idea: Take the abandoned homes in his Calabrian village of Riace and make a space for people who have no home. Domenico Lucano and the people of his village, have welcomed the destitute coming across the Mediterranean in overloaded boats. And those refugees in turn are bringing new life to a once-dying town. 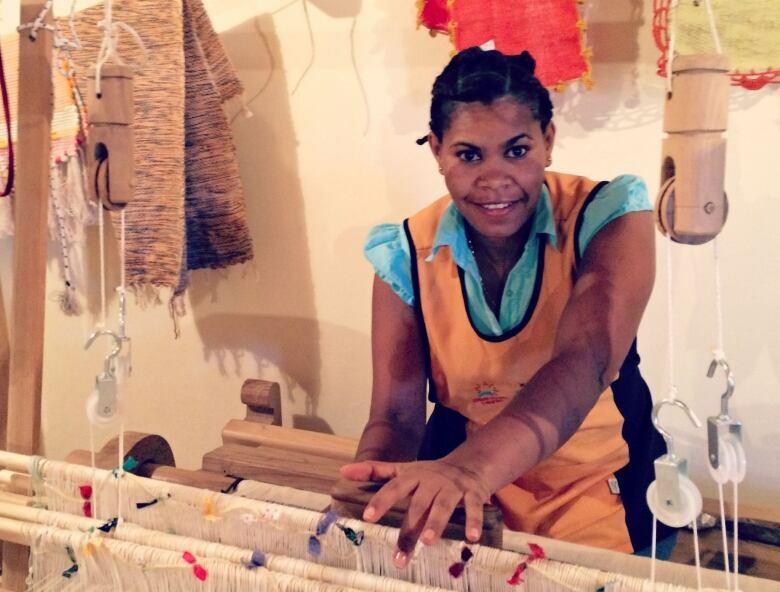 Kalkidan moved to Riace two years ago and now works with local traditional weavers in the village. Thanks to Riace, Endurance and her daughter have a chance for a better future. The documentary, "Reviving Riace" is produced by The Current's producer Lara O'Brien, documentary editor Joan Webber, and Anna Maria Tremonti. Special thanks to freelancer journalist Megan Williams for her assistance, and to Vancouver actor Frank Ferrucci, as well as Lorenzo Vallecchi in Rome for voiceover work.